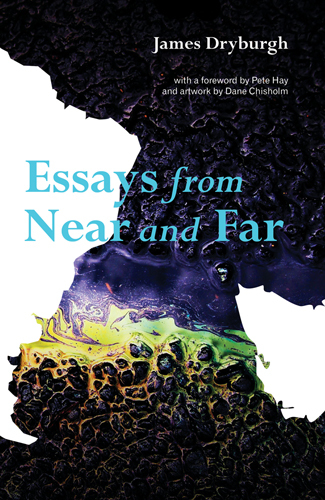 COUNCIL’S manager of development services James Dryburgh recently launched his first book, Essays from Near and Far. James Dryburgh’s book can be bought online for $20 (free postage) from http://jamesdryburgh.com/books/ or from most Hobart bookshops. THE significant number of new houses being built in the Brighton Municipality is a sure sign that our region is on the move and that people see it as a great place to live, work and bring up families. As well, developers see Brighton as an attractive place to build and without exception, are encouraged by the support they receive from our Council. A number of builders and developers have told me they receive great service from Council in processing planning an development applications and this means they can quickly get on with the job to building new houses and units. The reflects great credit on our Council officers who often work above and beyond their normal responsibilities to help people. The new homes being built in the Brighton Municipality are designed to cater for the widest possible market. For example, the Council-owned Brighton Industrial and Housing Corporation is developing up to 400 affordable house and land packages. These have already proved extremely popular with families escaping the rental trap and realising the Australian dream of buying their own home. New blocks have been released in Herdsmans Cove, Bridgewater and Gagebrook and in many cases the house and land purchase payments are less than people are currently paying in rent. As an added bonus, until the end of this year, first home-buyers purchasing a home through BIHC’s affordable housing development are eligible for a $30,000 government cash grant. Of course, the $30,000 grant is also available for new home buyers purchasing houses being built by other developed in the Brighton Municipality. Some of Tasmania’s leading home-builders are offering house and land packages that combined, are bringing significant growth. These builders have significantly expanded their presence in recent years, responding to market demand, particularly from young families wanting to upgrade their accommodation or move to our municipality. The builders include the family-owned Barr Builders currently constructing 10 units in Brighton following the completion of a 62 lot sub-division at Old Beach. WW Tas Pty Ltd specialises in rural residential estates and is also developing a restaurant and reception centre at the heritage- listed former Congregational Church in Pontville. Wison Homes is a multi award-winning builder and is currently offering new house and land packages from just $216 per week. Other developers and builders active in the Brighton Municipality include Paul Berry at the Dudley Clark estate, the P and K Group, Maveric Builders, Cunic, Rainbow, Ronald Young and Target Homes. An exciting estate comprising 16 prestige waterfront homes at Old Beach is being undertaken by Deane Caldwell of Soldino Developments. The Old Beach Waterfront Estate is the only new waterfront estate being developed in the Hobart region and offers premium quality housing in a secure, gated community with modern energy efficient house designs. The riverside estate even boasts its own lake and is sure to sell quickly. Coming hard on the heels of the establishment of the Brighton Transport Hub and the continuing expansion of our Industrial Estate, and improved services and facilities for all our community, this development is unprecedented and clearly demonstrates that Brighton is certainly on the move and going places. Brighton Council is pleased to be playing its part in this significant growth and development. MEET Rob Drew, ‘jack of all trades’ and master of two – producing quality wines that have won acclaim overseas and inventing a timber splitter that has been sold around Australia. Not bad for a man who left school when he was 13. “It just shows you don’t have to go to uni to be a real achiever,” said Rob’s wife Debra as they relaxed at their hill-top home in Tea Tree, where on a clear day you see right up the Derwent Valley as far as Mount Field National Park. 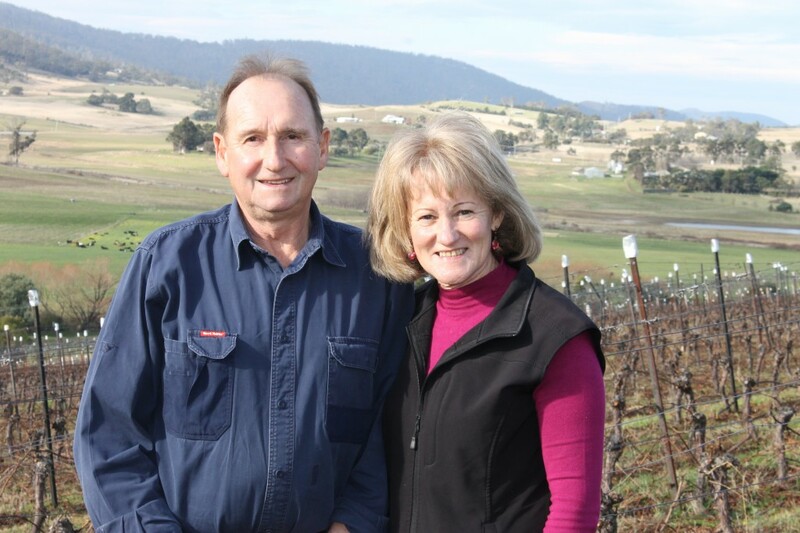 The secret to successful winemaking is to get it right in the vineyard – Rob and Debra Dew owners of Drew Wines. BRIGHTON resident Lauren McCarthy has been named the Coles Community Hero for her region after being recognised for her outstanding contribution to the community. 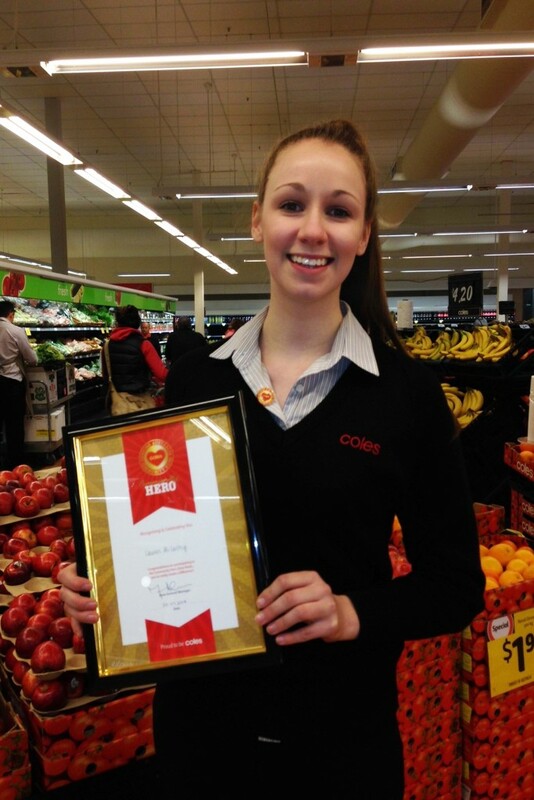 Lauren, who works at Coles supermarket at Bridgewater, was selected from seven Coles supermarkets in the region encompassing Hobart to Sorell. Brighton’s Lauren McCarthy, who has been named the Coles Community Hero for her region after being recognised for her outstanding contribution to the community.